According to the report, Chicago’s estimated effective residential property tax rate increased by 35.3%, from 1.25% to 1.69% of full market value, during the ten-year period from 2007 to 2016. 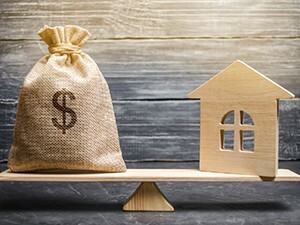 The tax rate is calculated as a percentage of full market value, without deducting for homestead and other exemptions, as a means of comparing the average property tax burdens in different areas over time. In addition to Chicago, the Civic Federation also documented the estimated effective property tax rates in surrounding Cook County communities over the same 10-year period. A table of a dozen such communities shows Chicago Heights with a 98% increase: 2.6% to 5.2%. The estimated effective residential property tax rate went up 22% in Arlington Heights where residents saw an increase from 2% to 2.4%. For a more complete look at the findings, you can read the Civic Federation blog report here. Growth in effective tax rates can be affected by factors that include changing median levels of assessment and don’t show the tax burden on any particular property. The best way to know whether you are paying more than your fair share of the tax burden on your property is to appeal the assessed value. The appeals process is designed to ensure that no individual property is over-assessed in relation to other properties. At Kensington we use a proprietary algorithm and a comprehensive review of the data to analyze your property assessment. That’s a service we provide free to anyone who wants a review of their property assessment. There is no obligation to use our services to assist in your appeal. And if you do use our services, you pay nothing unless you are successful in obtaining savings. Your home is likely the most important investment you will ever make. 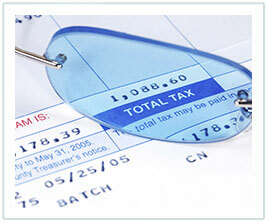 Let us help you ensure your property tax bill is not taking a bigger share than it should. Call, or click on the link below for more information or to get started with a free, no-obligation review of your tax bill.